Beautiful print. Very sturdy canvas over wood. Hangs easily. Looks great. The picture on line does not do this canvas justice. It’s absolutely beautiful! 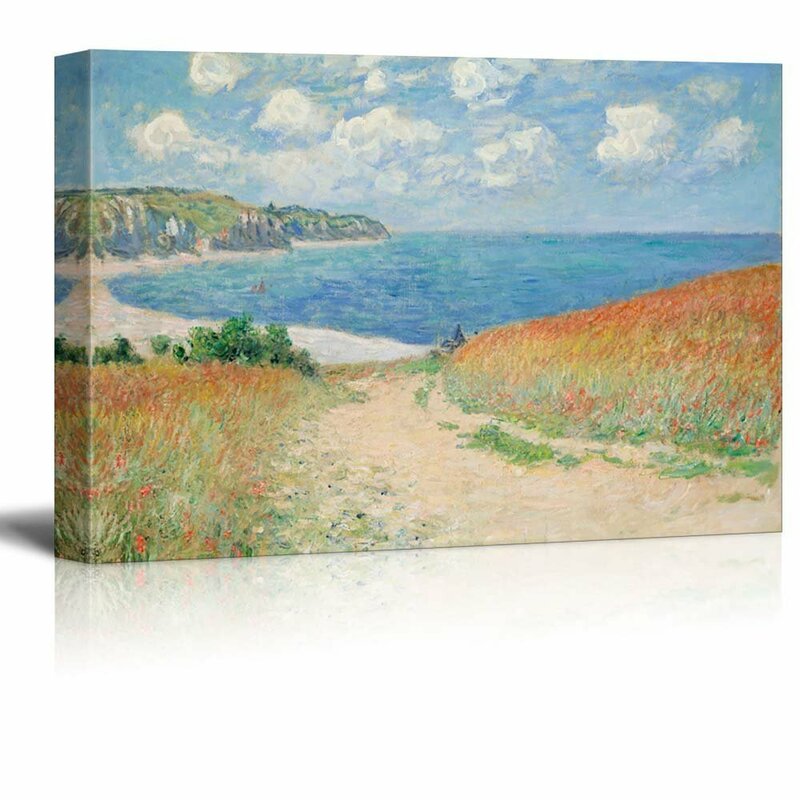 The quality of this canvas is okay; however, the colors are much darker than depicted online. I'd purchased the picture to open up a small area, but I don't believe it will work as I'd hoped. They look great. No flaws and well constructed. I liked the beautiful sea and little house with the beautiful colors. I put this in my remodeled bathroom. It was exactly what I wanted. Great price and great quality. Just a beautifully done print at an excellent price. Thank you. Have it hanging in my bathroom and looks stunning!